Thanks to Deb Hirsch who shared this terrific picture from the UNC-G Archives of Mary Petty, who led the University of North Carolina at Greensboro Chemistry Dept from 1893 to 1934. As University Archivist at UNCG, I’m so happy to see Mary Petty featured on your blog! Mary Petty grew up in a Quaker community known as Bush Hill outside of Greensboro, NC. 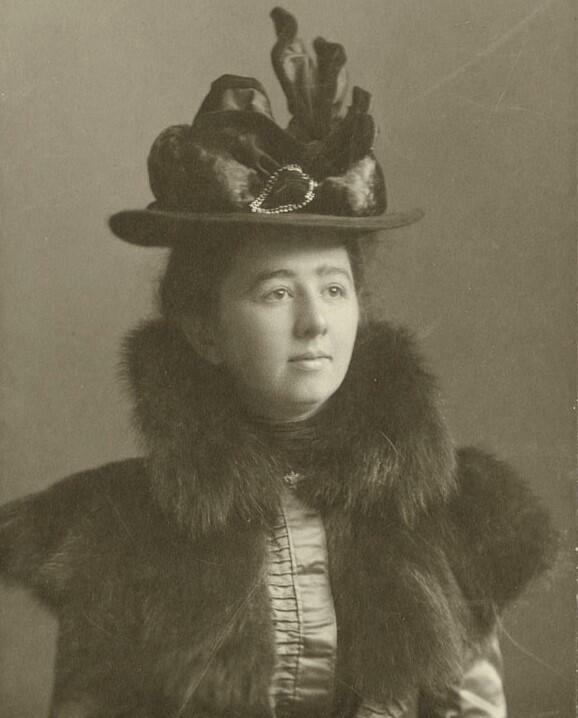 She received her bachelor’s degree from Wellesley in 1885, and taught briefly at Guilford College (also in Greensboro) before coming to the State Normal and Industrial School (now UNCG) in 1893. She led the department of chemistry there from 1893 to 1934. In addition to her classroom teaching, she helped lead the campus’s Science Club, an organization for faculty members and advanced students to explore areas not included in the formal coursework. In 1960, the science building on campus (originally constructed in 1940) was renamed in her honor and continues to be known as the Petty Science Building.